Dove hunting is an interesting and even passionate sport, and even though a lot of hunters only enjoy the actual shooting of birds, modern hunters also appreciate the excitement of the tracking, waiting, strategy planning, and even the exercise; but most of all, the chance of feeling free in the outdoors. 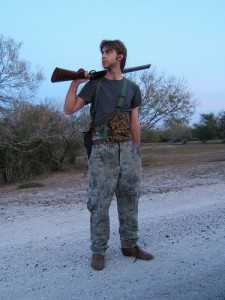 The key for a successful dove hunting trip is to remain unseen by the doves, which, by the way, have excellent vision. Use camouflaged clothing that matches the surroundings in colour and patterns, and nothing bright. That’s why wearing the right Dove hunting clothing is so important. Comfortable but thick fabric pants, comfortable and preferably not new boots to avoid blisters, leg chaps to protect your legs against snakes or cuts while walking through the bushes; vests with pockets that are easy to open to carry ammo, cellphone, etc., are a must too. Don’t forget long sleeve shirts and a jacket or rain poncho, since some great dove hunting is done early in the morning. Last but not least, wear a hat, a mask if possible to hide your shining face, gloves, and even camouflage tape on the barrel of your gun. The whole point is not to have anything shiny on you that can scare away the doves. Argentina dove hunting is getting more popular as you read these lines, mostly because the landscapes, clothing, and of course, the actual dove hunting, are quite unique. So, remember that if you like bird hunting in general, and dressing properly for the occasion, you will love dove hunting in Cordoba.